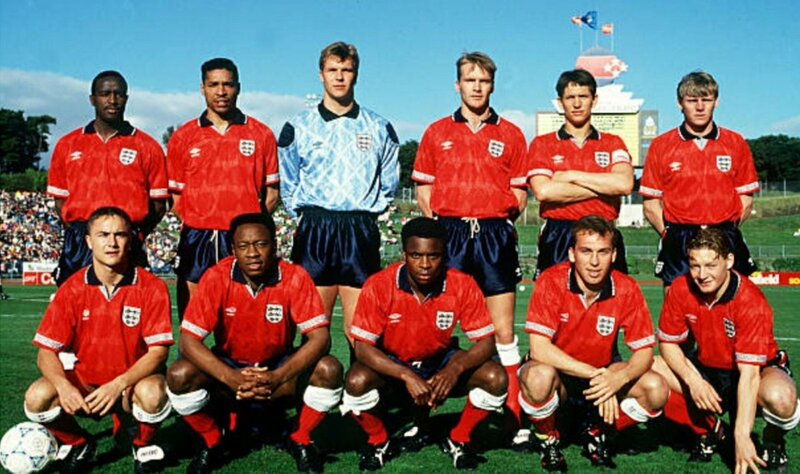 We have already at the one-off kit(s) worn by England against Turkey in 1991, but the 1980s also provided some notable kit instances against the same opposition. The countries had never played each other before being drawn together in the qualifiers for the 1986 World Cup, but that was the first of four times in five qualifying campaigns they would end up in the same group. November 14, 1984 in Istanbul was the first meeting and England wore their new home kit against a red-and-white halved Turkey shirt with a red back. We’re not sure if any of the goals in England’s 8-0 win could be put down to confusion with the colours, but at Wembley the following year Turkey were in white with England in change red shirts – but, for the first time, with navy shorts. All-red had been used on occasion before that, mainly in the 1960s, but though this format worked well against Turkey (England won 5-0), they wouldn’t use it against them in any of the six games against them over the next eight years. At least not in real life. In the Euro 88 qualifiers, the normal home kit was worn twice with Turkey in red – but Roy of The Rovers, with Roy making a rare international appearance, included the red-navy-red mashup. 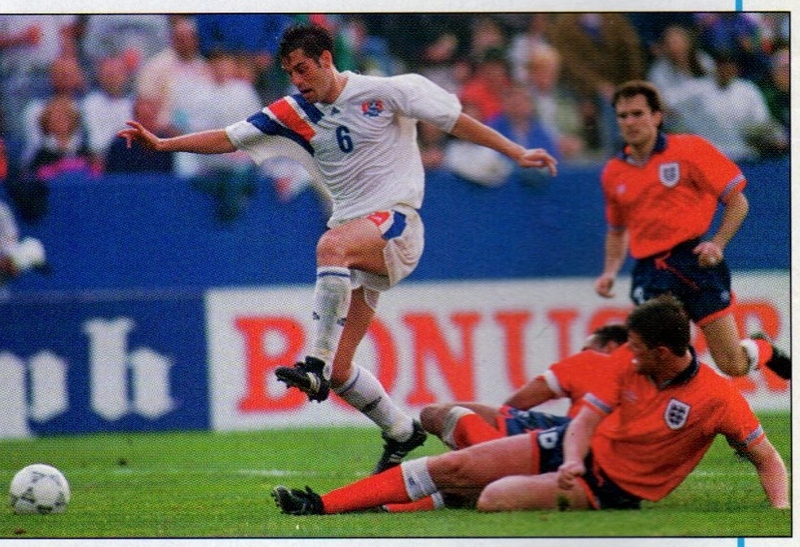 The red shirts and navy shorts would appear again, in the 1991 summer tour of Australasia and 1993 US Cup. However, since then red shorts have been used when a clash has arisen, though red and blue were of course combined on the 2016-17 change strip. If memory serves me rightly, Turkey wore red for all subsequent matches against England after that, regardless of whether they were home or away. This was during the time when there was no clear distinction of which colours were actually Turkey’s first choice, though red has been set in stone as the first choice colours since the 2000’s. I remember that 1993 US Cup, for a certain red top tabloid’s headline…… “YANKS 2 PLANKS 0”.